In most gyms, treadmills are a staple and popular piece of equipment. Yet, newcomers can often be intimidated by a large piece of equipment. However, treadmills are versatile and can be easily used by novice to advanced exercise enthusiasts. So let’s discuss some of the benefits of treadmills. There are numerous benefits to using a treadmill in your exercise program. First, treadmills are used for a cardiovascular workout. The Department of Health and Human Services recommends that individuals get 150 minutes of moderate aerobic activity each week. Walking/running on a treadmill can help you reach this goal. It can also improve heart health by strengthening the heart, which in turn, can lower blood pressure. In addition, walking/running can lead to a decrease in bad cholesterol. Along with the cardiovascular benefits, treadmills can also aid in toning and strengthening muscles. Mostly, the legs (hamstrings, quads, calves and glutes) will be affected. But, by adding small hand weights, you could tone and strengthen your arms. Treadmills are relatively easy to use. They maintain an even surface that is predictable. It negates the terrain variations that outdoor surfaces present. Treadmills are usually programed with preset workouts that can help you reach your fitness goals. For example, if you are trying to increase your speed, you could use a preset interval program. Or if you would like to mimic the outdoors and increase endurance, you could use a random preset program. No matter which workout you choose, your progress can be tracked throughout your workout, using distance, calories time and heartrate. Treadmills can help you maintain consistency in your workout routine because it removes the weather variable. Whether it’s the cold, biting winds of winter or the hot, humid heat of summer, the weather can easily derail your workout plans. The treadmill presents consistent and convenient conditions for exercise. Because of this consistency, you can also work on modifications to your walking/running gait and stride. 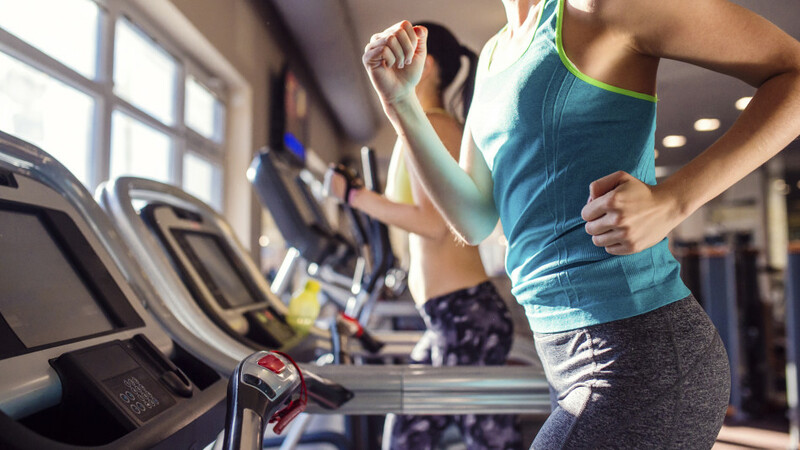 These are just some of the ways that treadmills can enhance your fitness program. Whenever you are unsure of how to use equipment, please ask a gym professional for assistance. Fitness equipment can only be an advantage if it is used appropriately. Copyright © 2018 - Website by BizMarquee.com, Inc.